Rewatching Breaking Bad right now. The chick who plays Skylar White seriously freaks me out now. Something wrong with her eyes. I feel like they are too wide, or too white, or something. Something just looks off. It makes me widen my own eyes whenever I see her on screen. Really need to start watching this. My mum has the whole series. I'm just now watching it for the first time. 2 episodes into the second season. Then you absolutely should, it is worth stealing from her and never speaking again because of it. I started from season 1 again maybe 7-8 days ago because I finally got the box set for what will be my 3rd time through and tonight I'll finish season 3. It's like crack, even after this many viewings. Should czech out Breaking Bad if you haven't already like WWKD and Lock Jaw mentioned, possibly the best show currently running on TV and a new season starts in the next few weeks. I need to see The Wire. I've heard that season 2 is not as good as the others, but still necessary to see it for future episodes. Feels like I just saw the whole movie in a minute. I'm another one who still hasn't The Wire. I've been waiting on a mate of mine to lend me the boxsets but he's always "too busy" to bring htem round when I ask. Probably just going to have to buy them myself. Or go pick them up? I've seen the odd ep of The Wire but never got into it. Perhaps I should give it a go from the start. Having said that, I've had seasons 1 - 3 of Mad Men for 6 months and it's still in the plastic wrapper. I've got season 1 of Mad Men sitting on my computer. Watched the first episode ages ago, but didn't really make me go "OH MY I NEED TO SEE MORE" and so I haven't yet. I gave The Wire a chance few years back, made it halfway through season 2. Just stopped watching it for some reason. Moved a bit slow, but was enjoying it. Just downloaded season 1 to give it another shot. As for Mad Men, bought season 1 and 2 on Blu-Ray for mad cheap, not knowing much about the show besides it being critically acclaimed. Watched a few episodes, just never really clicked for me. Just started watching Quantum Leap, badass so far. Ive seen bits and pieces of the Wire when Directv runs it uncut on 101/Audience but there doesnt seem to be a consistent schedule with it. I do have a DVR but its hard to schedule the recordings when they show the same ep multiple times..anyway.. Going to Kmart in a couple of hours...they've got the Blu Rays of Sin City, and both Kill Bills for $8 a piece which is just great. Also, Amazon has BTTF Blu Ray set for $24.99 though its back ordered up a ton. Is that the "Rock'em Sock'em Robots" movie? The last seven minutes are greatness. Out of all the old stuff that is being adapted/remade/whatever, I seriously cannot believe that no one is working on making a Gargoyles movie. How does that not scream Summer Blockbuster? It's not quite old enough to be considered a "Classic" cartoon - give it about 5 more years. Yeah, this will be revisited. Guess we have to wait until the people who grew up with Gargoyles get the power in Hollywood. Not really. Nostalgia sells, and it seems the ripe period is 15-20yrs before somebody decides to reintroduce adults to their childhood faves (and introduce the new generation to blah blah blah). In about 5yrs or so, the 90s will be raped for all it was worth. 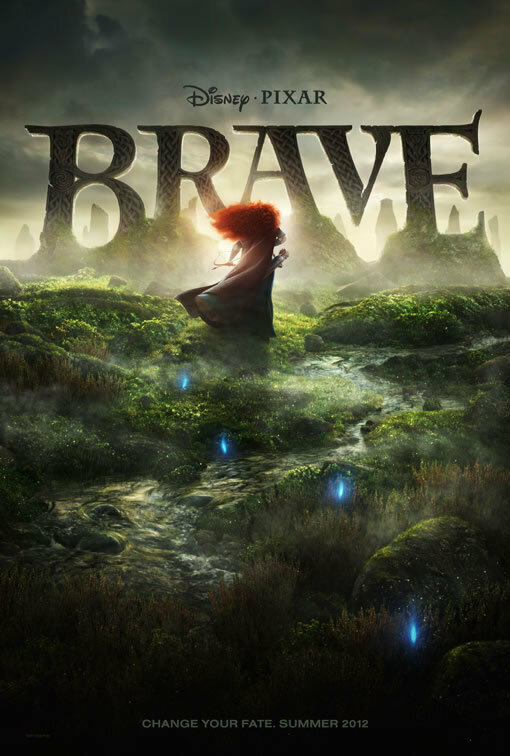 First I have heard of this "Brave" movie. Went over to wiki to read about it. Sounds really different than any other Pixar film done to date. Yeah, I'm interested. They may be going for something 'serious'.